Pixie Lott is to star in a new production of Breakfast At Tiffany’s. The multi award-winning singer plays Holly Golightly in this classic tale, written by Truman Capote and so memorably portrayed by Audrey Hepburn in the iconic 1961 film. It is being given a new lease of life as a stage play with music in a sparkling, sophisticated production, adapted by Pulitzer Prize finalist and Tony and Olivier award-winning playwright Richard Greenberg. A Curve Theatre, Leicester, production, and directed by Nikolai Foster, Breakfast At Tiffany’s will embark on a small tour before going in to the West End for a limited run. The winning scripts have been announced for the Theatre Royal Haymarket Masterclass Trust’s Pitch Your Play initiative for 17-30 year-olds. The winning pitches are Shakespeare’s Sister by Emma Whipday, Reasonable Doubt (working title) by Joel Samuels and Arthur by Ben Weatherill. 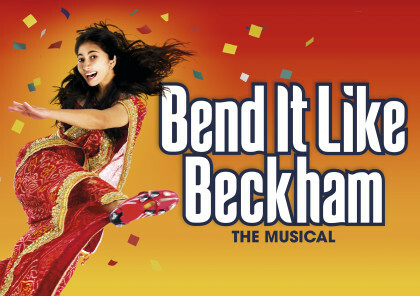 The plays will be performed as rehearsed readings on stage at the Theatre Royal Haymarket during September, October and December this year. 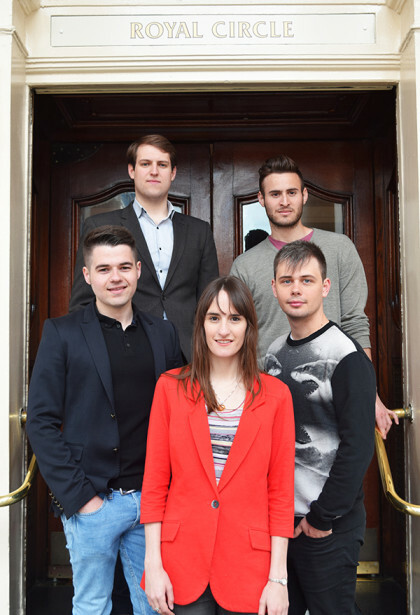 IMAGE: Masterclass Pitch Your Play winners 2015: Josh Beaumont, Joel Samuels, Jake Smith, Emma Whipday and Ben Weatherill. Photo by Masterclass at the Theatre Royal Haymarket. The trustees of Winchester Poetry Festival have announced the appointment of a new artistic co-director. The poet, editor and translator Sasha Dugdale joins Keiren Phelan in developing and shaping the programme for the second festival in October 2016. ‘One of the most original poets of her generation’ (The Guardian), Sasha is editor of the magazine Modern Poetry in Translation, author of three collections of poetry (Carcanet) and has translated two collections of Russian poetry (Bloodaxe). 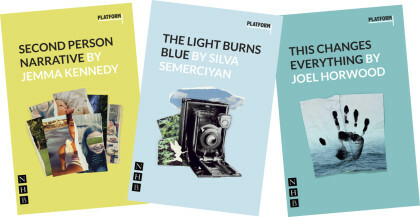 Platform, an exciting new partnership between Tonic Theatre and Nick Hern Books, seeks to tackle the under representation of women on stage by increasing the opportunities for girls and young women. While the majority of young people who take part in drama in schools, colleges, universities, and youth theatre or amateur dramatic groups are female, the majority of roles in the scripts they are currently using are male, leading to a mismatch between those who want to take part, and the opportunities available to them. The aim behind Platform is to end this mismatch by increasing the number of high-quality, big-cast plays written specifically for performance by school, college, and youth theatre groups, which have all-female or mainly female casts. Tonic has commissioned three award-winning writers to pen the first plays in the series, to be published by NHB. They will be made available to youth theatre, groups, schools and colleges for the reduced price of £3 per copy (rrp £8.99), via a dedicated website, for a limited period. Visit: www.nickhernbooks.co.uk and www.tonictheatre.co.uk for more details. Bloomsbury Publishing has revealed another beautiful image from the eagerly anticipated Harry Potter and the Philosopher’s Stone: Illustrated Edition by J.K. Rowling, illustrated by Jim Kay. 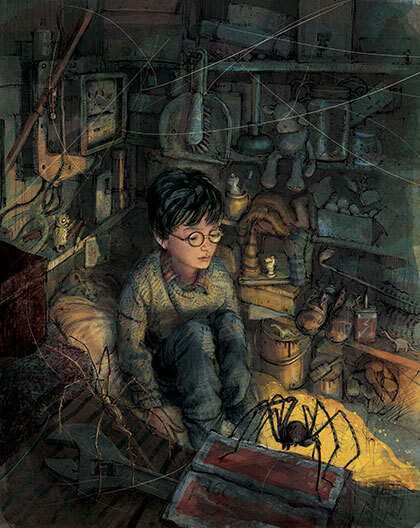 The image shows Harry Potter in the cupboard under the stairs where the Dursleys make him sleep. Published globally on 6th October, 2015 in more than 20 languages, this will be the first fully illustrated edition of J.K. Rowling’s original Harry Potter novel.